Simple guide for setting up OTG modes on the Raspberry Pi Zero, the fast way! For this method, alongside your Pi Zero, MicroUSB cable and MicroSD card, only an additional computer is required, which can be running Windows (with Bonjour, iTunes or Quicktime installed), Mac OS or Linux (with Avahi Daemon installed, for example Ubuntu has it built in). 1. Flash Raspbian Jessie full or Raspbian Jessie Lite onto the SD card. 2. Once Raspbian is flashed, open up the boot partition (in Windows Explorer, Finder etc) and add to the bottom of the config.txt file dtoverlay=dwc2 on a new line, then save the file. 3. If using a recent release of Jessie (Dec 2016 onwards), then create a new file simply called ssh in the SD card as well. By default SSH is now disabled so this is required to enable it. Remember - Make sure your file doesn't have an extension (like .txt etc)! 4. Finally, open up the cmdline.txt. Be careful with this file, it is very picky with its formatting! Each parameter is seperated by a single space (it does not use newlines). Insert modules-load=dwc2,g_ether after rootwait. To compare, an edited version of the cmdline.txt file at the time of writing, can be found here. 5. That's it, eject the SD card from your computer, put it in your Raspberry Pi Zero and connect it via USB to your computer. It will take up to 90s to boot up (shorter on subsequent boots). It should then appear as a USB Ethernet device. You can SSH into it using raspberrypi.local as the address. My Zero (Jessie full) doesn't show up as a device. Followed all the steps here. Could this effectively be used to VNC into the Zero for a GUI interface? I can't seem to get Avahi Daemon installed on OSX. Any pointers would be greatly appreciated. On PC Windows 10 I had to modify the firewall settings for Bonjour so that the "Setting up Pi Zero OTG" worked! @langphil, you don't need to install Avahi Daemon on OSX as it comes with Bonjour pre-installed and already running, which does the same thing. Once you've followed the steps above you can just ssh pi@raspberrypi.local to access the Zero. Whenever I try this the Raspberry Pi shows up as an unknown USB device in Windows. I've tried Windows 10 and Windows 7 with the same results. Any way to fix this? Same as TweetPete here: I see the Zero as a Seriel USB Device (COM4) and not as Ethernet device. edit: using serial comunication doesn't work anyway, but maybe I'm using just the wrong baud rate. For me it didnt recognize as anything, just a "RNDIS/Ethernet Gadget". 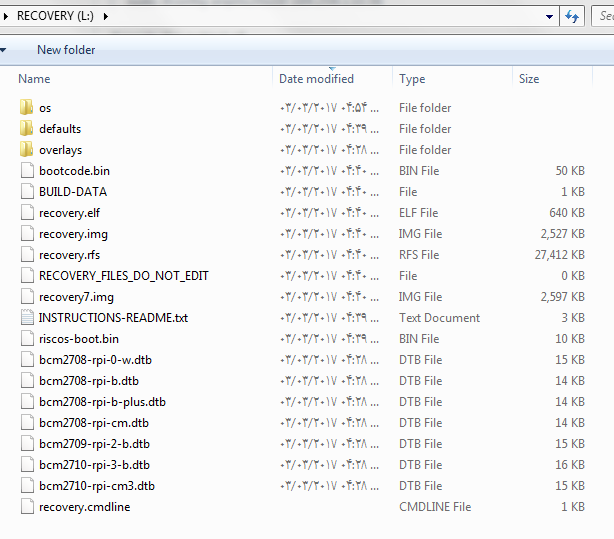 But after i manually gave it some drivers found on this guide. Sorry for my english :(. Not sure if it's only in my case, but using Win7 i had to plug the USB power jack into the RPi0 first, let it boot up and then connect it via USB otg with my PC. Only then windows ill recognize it as network adapter (had to force it to install the driver using the method @xcna mentioned). Nice one! It's working here, can we get it to connect through USB to the internet? I know we can connect TO it, but can it connect outside? Awesome! I was also able to get my pi0 to have internet access by following instructions from https://help.ubuntu.com/community/Internet/ConnectionSharing#Ubuntu_Internet_Gateway_Method_.28iptables.29. Has anyone got this working with OS X by any chance? This worked fine on my MacBook Pro (El Capitan). The Ethernet device was detected and I could connect to the Pi Zero using the hostname (ssh pi@raspberrypi.local). To grant the Pi Zero Internet access I configured Internet Sharing for the RNDIS NIC (shared my Wifi connection) and then restarted the Pi (so it would pick up the new IP address). I'm on El Capitan and I cannot seem to be able to SSH into my Raspberry Pi Zero. Windows wasn't seeing the Pi at all if I powered it off the same USB port. Once I plugged in the power separately and the stand-alone USB into my PC, it would recognize it but it would be in a "problem" state in Device Manager - for some reason the Zero booting up while connected wasn't working. As soon as it was booted, I would unplug the USB from the PC and plug it back in (while the Zero remains powered on from the other USB port) and Windows recognized it just fine. Its not working for me. I installed bonjour, made changes to the txt files and waited for it to boot. when i connect to pc it shows as unknown usb device (device description request failed) under Universal Serial Bus controller in device manager. i get this in both win8 and win10. I use a microusb cable to pc. I am using the current jessie os. The RPi appears in the output of ifconfig however it doesn't have an IP address, and I'm not sure how do I get it for raspberrypi.local address. The good thing is that I can see it in the network devices, though. This is great, but conecting to a Debian (Jessie) system, I only get an ipv6 link address by default - which shows up in avahi but ssh doesn't work with it. Turns out that http://blog.gbaman.info/?p=791#comment-136277 has the key, of using the address explicitly and adding %usb0 to the end. Overall, nice trick! Thanks! Will this also work for raspberry pi 3? I'll try at home with my Windows 10. One thing that may help others, as it had me stumped for a good 10 minutes... is that the micro USB cable must plug into the port marked [USB] rather than the power port marked [PWR]. Both will boot but only the [USB] marked port will give the intended behaviour. Silly me, I was using a power micro usb cord for the micro usb data port and a data micro usb cord for the micro usb power port. So far it works for me. I am using Windows 10. Shows up as ethernet. I was able to ssh into it with rapsberrypi.local and once I shared my internet connection, I was able to download and install software. Has anyone got this working with the model A? I know the otg pins are wired to the port. I have this working, but I was wondering about how we can get the RPIz to look like a keyboard and mouse, storage and all those other things. @nathantsoi: No, the Pi can be in only one USB mode, either host or device/gadget. In host mode (via an OTG adapter), it can have a USB hub connected, but in gadget mode, it can only connect to the upstream USB host. Unlike the above, I'm pretty sure I checked off every box which could have prevented Avahi/Bonjour/iTunes from working... Disabled FW, enabled simple Printer/File sharing, make sure the daemon for Avahi/Bonjour/iTunes (whatever was applicable) was running. Stopped/started the RPi to ensure advertising itself. The device would be detected correctly, but just wouldn't be configured for a network connection. So, in the end I gave up on any network services and configured the network connection manually. Great tutorial, however in order for me to connect via my Ubuntu 16.04 desktop I had to change the ipv4 connection settings to local link only in order to use the raspberrypi.local hostname when connecting over ssh. If you have the IP address of the Pi then the connection settings seem to be irrelevant. No joy here. I do note if I plug the memory card back into the host PC the content of cmdline.txt has been truncated just after the added text. I was careful to just leave one space. However, I tried this exact same thing with this tutorial and I get an error "Unknown USB Device (Device Descriptor Request Failed)"
May I ask how you fixed it? A lot of people have mentioned this and I am now getting it too; I've not seen a working solution anywhere here. This seems so straightforward, but if it doesn't work, no one seems to have a way of trouble shooting it. I created a jessie image and made the changes necessary to config.txt and cmdline.txt. Connected the pi to a win7 laptop. nothing, pi not detected. installed bonjour (print services) - not detected. Connected the pi to a keyboard and tv and confirmed that messages about g_ether etc appear in dmesg. ifconfig says there is a usb0 interface (but without an ip address). So pi looks ok, it must be windows. Check in the device manager for new unknown devices, nothing. Ok, connect pi to a laptop running Linux Mint 18 - pi not detected. Check avahi running, yes. Connect pi to mac book, bonjour running - pi not detected. May be it is the pi after all. I dont know. http://blog.gbaman.info/?p=791#comment-136188 "This can only work with the Raspberry Pi Zero, given USB is directly connected to the processor, where as the larger Pis it goes via the LAN hub chip. A and A+ are missing the ID pin so can’t dynamically detect USB master or slave, so defaults to master." I have been trying to get this working for several days but I always get the device descriptor request failed... I have messed with my firewall settings, changed how I am plugging in the USB, changed USB cables, everything!!!!!! I don't understand why this is not working and it is driving me insane. I have tried several different sd cards and different images. Is anyone able to interpret that output? But only if I power up the Raspberry Pi Zero for about 30 seconds or longer before I connect it to the pc. Then it's connected properly as a network device and I can ssh and I can also disconnect the direct power and power it through the data connection only. If I connect the Raspberry Pi Zero only to the Windows pc without additionally powering up before, It gets recognized and connected as unknown USB device. I thought of adding a good delay in config.txt by BOOTCODE_DELAY and BOOT_DELAY. But that didn't help. Worked at the first try with my pi zero, raspian jessie and host system El Capitan. After that I changed all standard settings in raps_config including the computer name (ohh, didn't recognized it) and couldn't connect after restart. Than, did everything again without renaming the computer and everything worked fine! I can't ssh into the device without a password. What did I do wrong? It's funny that the password is NEVER mentioned anywhere here. @christophe94700 thank you for the driver! do get the IPv6 address of my pi0. I also had to configure a static IP address (168.254.64.64 netmask: 255.255.0.0) for my computer, so that this won't kill the connection, because he could not get a IPv4 address. But I coud not reach the internet from the pi0. Tried all IP addresses found with ifconfig, ditto the address in network settings preference pane. Same thing, just hangs. Share your internet connection with your Pi. Simple. do you use another cable to power the pi zero? your mac use wifi or cable to connect the internet? how do you configure your RNDIS/Ethernet Gadget? do you use manually configure ipv4? @cd-rum running Sierra too, how do I share the connection? Still doesn't work :( do I need to have a power cable as well as the data cable? Please see this article. The new update disable SSH by default. There is some extra gobbledy-gook in cmdline.txt file that differs from the version you link to. Whatever it is prevents it from appearing as an Ethernet gadget to Sierra. I fixed it by deleting what came after 'quiet' and replacing it with the version you link to. I'm pretty sure you can just use what's in the version you link to verbatim. SSH is (infuriatingly) disabled by default in Jessie, as of 11-2016. So you will get 'Connection Refused' when you try to ssh in. The solution is either to use an older version, or after you edit the 2 files, do 'touch /path/to/boot_volume/ssh' (add a blank file named 'ssh' in the same directory where config.txt and cmdline.txt are. @shonenx333: yes, I only followed this gist and this article. BTW, I am using a mac. But your problem looks like due to the missing driver? In case of SSH connection refused error, enable SSH since the newer images have it disabled by default due to security concerns. @jpm165 I have not been able to get the pi zero to work in OTG even after following your steps. Does anyone have any further insight? This is frustrating. I am using the latest Raspbian with PIXEL; I have modified the config.txt and the cmdline.txt file. I have also created a blank 'ssh' file in the /boot directory. And yet... nothing! I am able to ping it. The ssh service is now disabled by default. It works in OS X El Capitan without extra network settings. Pay attention to the error message: Does it say "Not found" (or similar) or "Refused connection"? Refused means your mac can see it, but the pi isn't letting you connect. Not found means it's not seeing it. That may be obvious for some but it's subtle and worth mentioning. -Check your internet sharing settings: This might sound weird, but there appears to be 2 "on states" for internet sharing. If you check the box beside the RNDIS/Ethernet Gadget (Under the dropdown where you choose where to share from) that is one 'on state'.If you check the box in the left column where it says "Service" (Internet Sharing) that is another 'on state'. I'm not sure what the difference is, but these two check boxes seem to work independently of one another. At any rate, it seems that if your pi is not setup for the network, if sharing is ON, you won't be able to see it on the network at all. Also, if you toggle between states in Internet sharing while the pi is connected it seems to kill the connection. Verify your image burned correctly: If you can rustle up an HDMI cable, just plug it into your TV and see if it's booting all the way. I've heard that people have had trouble flashing with the MacBook Pro's built in card reader. You might have to use an external one. If it's not booting at all, check your SD card: From what I've read, people have reported mixed results with cards >32GB, and cheaper off brand cards. Just so you know, I thoroughly bricked two SD cards trying this. Flashed all right, files edited all right, but then no signal on the Pi's HDMI (on a known-good Pi Zero hardware setup). One showed up as RNDIS device but of couse I couldn't SSH into it (connection refused) and the other simply appeared as "BCM2708 boot". And when I put the SD's back in the PC, Windows only shows me a drive letter. The poor cards don't even show up in disk management. They don't appear salvageable. From where I stand, serious waste of time and about 10 dollars in SD cards down the drain. "SSH is (infuriatingly) disabled by default in Jessie, as of 11-2016. So you will get 'Connection Refused' when you try to ssh in. The solution is either to use an older version, or after you edit the 2 files, do 'touch /path/to/boot_volume/ssh' (add a blank file named 'ssh' in the same directory where config.txt and cmdline.txt are." Adding the file made it work, thank you! I have tried everything and every suggestion. I have tried multiple versions of raspian lite including 2016-11-25 and 2016-5-27. I tried booting up via power adapter then connecting the usb to my windows laptop after the RPI had fully booted. I connected to a monitor and verified the rpi does fully boot to the shell. Does anyone have any suggestion to get this to work on the pi zero 1.3? At this point I'm willing to try anything. nothing is detected when connecting the rpi to windows 10. Im running USBDeview to monitor all connected USB devices. nothing shows up when plugging in the RPI. I am able to plug in devices to the RPI usb and they appear to turn on and work normally so I don;t think the usb port is bad. I have the same problem too on both windows 7 and windows 10 systems. I used I Zero v 1.3 and rasbian jessie 2016-09-23. To prevent this, if not already on your system, please install Bonjour.exe software from Apple (for Windows 10 this software is not available standalone so you need to install iTunes) , but if you read carefully it is also mentioned in the first post (I have missed this step at first). I have downloaded and installed Bonjour Print Services from apple.com (also did try the full iTunes installer just in case) no change also disabled windows firewall just in case. I'm using Win32DiskImager as described above, modified the files and included the blank ssh file. My problem seems to be more of a hardware / driver issue ??? because the pi zero does not even show up as a connected device in windows however I'm having the same issue on both my desktop and my laptop running windows 10. I connect the pi zero with the latest jessie. the green read LED turns on. No pop up in from the task bar when connecting stating that a USB device has connected. Nothing shows up in network connections either. I would say that its just a bad cable except when I connect the PI zero with the same cable but without the sd card inserted the device is detected and shows up in Other Devices as "BCM2708 Boot" as expected. I would say that its just a bad sd card except I have connected the HDMI and verified that it boots fully to the shell. and i see the usb gadget driver being loaded. Not sure what else to try to get this working. If I disconnect raspberry, the item disapears. On the Pi 3, model B I'm able to get to the ssh password prompt, but pi as the username and raspberry as the password fails with permission denied, please try again. I tried it using a Raspberry Pi B+ as the USB master. After several trials I succeeded. Having the Zero set to wait for the network upon boot ruined my day - well, the afternoon. If you run into problems and reuse an already installed SD card in your Zero the check this using raspi-config under the boot options. After that one has to configure the host for IP-forwarding and NAT and the Zero has to get a default route and an entry for the nameserver. At least if the Zero should have access to all hosts in the local network and to the internet. I know how to do this (well, Google did) per hand or via a script, but I would really like to tick some options or switch some defaults in config files to let the avahi daemons do the work. Any clue? I'm also having trouble. By following these instructions I can connect my Raspberry Pi Zero to Ubuntu 14.04 and to Debian. I can set up a network address for it and ping it successfully - it appears as an RNDIS/Ethernet Gadget. I get a password authentication prompt, put in raspberry which should be the default for Raspbian Jessie Lite, but am denied access as if the password is wrong. I used a clean Raspbian Jessie image (the latest one) and never changed the password so am flummoxed by this. If anyone else has experienced this issue I would dearly love to know. I feel as if I'm stumbling at the final hurdle! I'm trying it now for six or more hours.. ._. I'm using Windows 10, but I also tryed it with Ubuntu. Putty or ssh on ubuntu can't resolve "raspberrypi.local". There are 2 USB connectors. Make sure to connect the cable from the laptop to the inner one marked USB, not the outer one marked PWR IN (power). On connection method in Ubuntu can select "Link Local" but the pi won't be able to access the internet, or "Shared with other computers" then the pi will have internet access. I am able to follow this guide to set up the pi zero. But how could I configure the ethernet port after I ssh raspberrypi.local? I have usb/ethernet port adapter, but the only usb port is taken already. While the Intel driver Zip seems to have the RNDIS drivers needed to support Android development over USB, for me they didn't work out-of-box so for now i'm putting this on hold. While the proposed solution seems elegant and has a certain cool factor, it also seems limited by the ability to having or acquiring RNDIS drivers. For the present, I guess i'll be sticking with Plan B, the undocked standalone configuration. I just did this with Pi Zero 1.3 and Jessie (Full) 2016-11-25, with Mac OS X Sierra 10.12.2 using shell & dd exactly as described in the gist. The only issue I ran into was with the USB cable(s). Out of the 7 or 8 Micro-USB cables I dug up, only two worked and they were both thicker and at least looked better built. All the cables powered up the Zero fine, but it never showed up in the Mac's system info hardware report. Even when I used one of the "good" cables for power into a decent power supply, the "bad" cables still didn't work for USB. I'm going to pick up a few more zeros to rule out something wrong with this particular board/port, but hopefully this will save someone some time -- look for a good cable and try as many as you can find. I now have it working on both Windows 7 and Windows 10 and it seems to be a simple as Mr gbaman described. The problem I encountered was the result of a 2' USB Micro cable I was using. It applied power and the Zero booted, but (guessing) the data line was defective or not intended for use in the original device. Or to use cmd shell dns-sd. For those that run across this later and find that things are not as clear as they should be. This thing is for beginners, but it could be easier. I'm no beginner and this took two hours of screwing with to get going. I am using a brand new pi zero ver#1.3 with camera port, Sandisk 8 gig SD card from Walmart, cheapest one there. The most frustrating thing was that when I added an ssh file to the boot partition on the sd card under windows, it would be deleted when the pi was booted up. I fixed this by mounting the SD card under Fedora, in Virtualbox. cd to the folder you mount it in and run "touch ssh" without the "". This will create a blank file. Now you edit the (Mountedin folder)/etc/network/interfaces file with nano and include this on the bottom of it. Un mount the sd card from the linux Virtualbox guest and then shut down the guest. Then unmount it from your windows/mac computer and then put it into the pi. 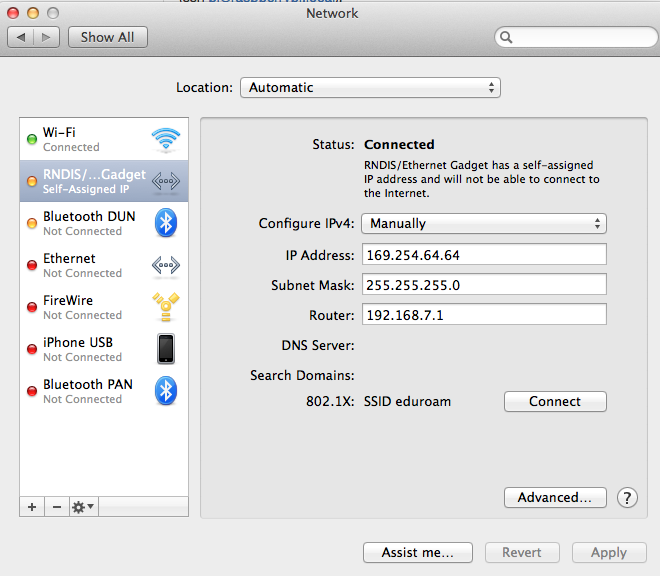 Then set the ip on the RNDIS ethernet interface on your pc/mac as directed in the link. You can now boot the pi. #2. To get past the Windows10/Macbook Sierra not finding it, I used 2 usb cables. I used one to power it up (Power Port)and then I plugged the second one (USB port) in after 2 minutes. Your computers will find them if they up to date. After it found the pi once then afterwards it only took one cable connected to the usb port. Also note that not all usb cables have all the wires in them. I found a couple of cables that came with chargers would not work for data. #3 Review your files that you edit for typo's. My first headache was a "." instead of a ","
#4. This has been a learning experience! For me it also didn't work. After changing the cmdline.tx and config.txt I enabled SSH. later by using sudo raspi-config. On Windows 10 I had to reinstall the driver http://domotique.caron.ws/cartes-microcontroleurs/raspberrypi/pi-zero-otg-ethernet/ because it was recognized as a COM device. Than I saw the device and could send a ping to raspberrypi.local. But Bitvise SSH and Putty could not start a connection (Errors like "Connection refused" "Connection closed by software"). I also used the IP (instead of raspberrypi.local) and disabled the firewall. Bonjour is also installed. I googled a lot but found nothing and than gave up. 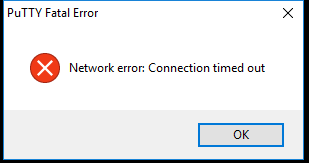 Now I got it running right away, but spend a couple of hours trying to share my internet connection using windows 10. My setup is Router [Ethernet] PC [USB] Raspberry Pi Zero. which is mentioned in all the tutorials and probably works under Linux and macOS. After this is updated, you can share the internet connection at the windows pc. SSH was giving "Connection reset" for me too. I wanted to access RPI with SSH over usb and i only had a Linux machine with Ubuntu 16.04, rpi zero and a micro-USB cable. I had a lot of trouble to be honest.The outcomes was that raspberrypi.local couldn't be resolved,when i found RPI's ipv6 i couldn't connect via ssh getting connection refused and a network-manager showing a "trying to connect" indicator on some "Wired connection". To begin with i removed docker interfaces and their iptables rules so as to not interfere with the process because these rules where associated with ip range of 169.254.0.0 . Finally the whole point was to configure enp0s20u10 with an ip address in range of 169.254.0.0 and also clearing any interfering iptables rules and ip routes . To make this permanent change etc/network/interfaces file appropriately..
another alternative is to edit "Wired connection 1" and set ipv4 settings like: IP:169.254.110.36 mask:255.255.0.0 gw:169.254.110.274 but keep in mind that other connections might be affected this way.. There is no config.txt file on my SDcard! I just got my hands on the new Raspberry Pi Zero W. Now that it has built-in wifi on it, is it possible to connect to the internet by setting up correct wlan0 connection settings? I'm able to connect to it by SSH'ing over USB. I'm also able to connect to the wifi AP. But it doesn't seem to have any internet connectivity. I thought it was related to /etc/resolv.conf because it didn't have any IP's in it (although wlan0 setup was configured for DHCP). I manually set 2 DNS addresses but I still wasn't able to cURL anywhere. Is this because Pi is in gadget mode or could it be something with my wifi network? tunix - What system are you using? Linux/Mac/Win?? I am in the same boat, however I cannot get my Win10 to recognize the rpi0w as an ethernet device to save my life. I have tried all methods published. Pls share as I am at my wits end with this. How is this to be fixed? Once connected, does anyone know how to then use this connection to enable the rpi to connect to the Internet through the laptop? I would like to be able to install new packages to the pi from this connection. Doing some reading, I noticed Samy Kamkar indicates this is how he does it when describing the poisontap project, but I haven't figured it out yet. Anyone have any tips? I'm currently doing this from a Mac and Linux machine, and will keep playing with it. didn't work on my pi zero w, don't know the specifics but non of the steps seemed to work. when i connect with PuTTY i get a connection timed out error, even after a 5 minute boot time. Got my replacement RPi0W, which unfortunately is broken too: USB gadget mode does not work either! Cross-checked the same mSD in the working RPi0W: there, it works correctly. I've only now noticed that the good one also shows the error message in dmesg, so the presence of this error doesn't seem to be a clear indication. Good one works, can be ping'ed. Bad ones cannot be ping'ed and cannot ping. modified config.txt by adding dtoverlay=dwc2 on new line. created blank ssh file on /boot partition. modified cmdline.txt by adding modules-load=dwc2,g_ether after rootwait. my drivers are configured but it says unidentified network any tips? Pi Zero power port and Linux computer. Open the nm-connection-editor (from the panel). Select Wired connection 2 (RasPi on USB) & click Edit. Under 'IPv4 Setting' set 'Method' = 'Shared to other computers'. <<< IMPORTANT! Connection OK! Good luck to all! Hello, I'm wondering if anyone can help someone who's new to this. I have a Pi Zero W which is running the latest Raspbian. I have followed the instructions and from what I understand I have everything working on the Pi (running ifconfig shows a usb0 along with lo and wlan0) but none of the computers I've tried connecting it to recognise it as an RNDIS gadget. Originally I had tried to set up the Pi as both an ethernet and a serial gadget with modules-load=dwc2,g_ether,g_serial (I was originally following the Adafruit tutorial and wanted to experiment) but eventually set it back to modules-load=dwc2,g_ether after it didn't show up as either device, but even after setting the file back to known working code it still won't show up. I'm thinking my experiment was where I messed up, but I'm not totally sure since I had originally flashed Raspbian lite to the SD card, but later reformatted it with full Raspbian because I thought a GUI would be useful. Anyway, thanks in advance, and I'm sorry if this has come up before but I've been looking around various places all day without much luck. 18 Apr 10 10:17:20 raspberrypi sshd: Server listening on 0.0.0.0 port 22. 19 Apr 10 10:17:20 raspberrypi sshd: Server listening on :: port 22. Likewise my key files in /etc/ssh/ were empty. For those having issues with your password, if using terminal on a mac make sure to check that you are using pi@raspberrypi.local as the address. If you don't you will still be asked for a password but it won't ever work. Password, as said above I believe, is "raspberry"
Can anyone help me with mass storage thing. After changing cmdline.txt and config.txt when I am connecting R pi Zero with my pc I am getting Unknown USB device (Device Description not Found) . Is there any way I can setup my pi as HID with the g_hid module? I try it but I am not sure if I do everything right! Raspbian Stretch was released yesterday and I couldn't get this to work on this new version. You can download the last release of Raspbian Jessie here and Jessie Lite here. Without it i would just get an ethernet interface pop up with ping raspberrypi.local not replying, nmap not finding it and local dhcp server not receiving requests. So finally i just set manual IP on the ethernet interface that pops up to 192.168.7.1 and gateway to 192.168.7.2 (exact opposite of what pi has). Ubuntu created a bridged interface too, i didnt touch that one AFAIK. I have a Pi Zero W.
That's nice but the wifi on the Pi Zero W (that I did configure dropping a simple wpa_supplicant.conf in the /boot) stopped working. I had some problems getting this to work, for me it seems to be important to power up the Zero using the PWR USB port first, wait for a few seconds and then connect the MAC to the USB port of the Zero. In addition, using Raspbian Stretch, I also needed to add an avahi file in the boot directory on the SD card. And since I was on a Mac I had to enable internet sharing via ethernet in my settings. Worked just fine on Rapsbian Stretch Lite. Maybe a small tip for windows 10 user who don't want to install the Bonjour service (like me). Just open a powershell window and check the arp cache using arp -a. Should show the ip address of the pi for the 169 subnet. 169.254.179.104 here is my computer interface and 169.254.179.104 is the Rpi. when I am connecting R pi Zero with my pc I am getting Unknown USB device (Device Description not Found) . Any luck on instructions for using this with Raspbian Stretch? @J-Bledsoe Raspbian Stretch working fine for g_ether and g_serial. But in my experience using /etc/modules is much stable than modifying cmdline.txt. Using cmdline.txt sometimes the gadget does not mount properly. before exit 0. This will ensure the usb0 is always assigned to that IP in every boot. Class B IP is chosen so you don't have to modify setting in Windows, or in Linux just choose Link-Local. I'm wondering if anyone has run into this scenario and recovered. I bought the pimoroni "stem" for the zero and installed it. It's a nice kit, and with a sandwich case, it's very sturdy. Everything went well and I connected using g_ether. No problems. Then I did something (apparently) stupid. I plugged a usb memory stick into the micro-usb connector - wondering if I could pull files from it onto the pi. Of course, it didn't work because the port was in gadget mode. So I unplugged. Later, I tried connecting via the stem and it no longer recognizes as a gadget. I can connect to the micro-usb port and get gadget mode - but no longer the stem. We've made a simple bash script to automate this. Thanks a lot ! I could not get the original Pi Zero (without WiFi) to use its host computer's internet access (tried 3: Win 7, Ubuntu and Chromebook running Gallium); however, I had success with the Pi Zero-W by setting up its own WiFi. On the Win7 I followed the driver instructions in other comments; for the Linux computers, no problems. Used the full Raspbian distribution and RealVNC, puTTY, etc. All good. Great guide. Some of the steps are a little tedious and repetitive, perfect for a simple script. It's similar to JuilenRobitaille's one above but with some checks and further automation. Hope you find it useful! Very helpful thank you @gbaman. Came here from a Raspberrypi Stack Exchange question which has additional useful information. Just an update for anyone struggling with this for hours in 2019, like I just was, the Method = "Shared with other computers" is pretty important on Ubuntu. I watched guide after guide, but this was crucial. Actually, I found it better to set it to "Link-Local Only". In Linux go to the network connections editor and in the "IPv4 Settings" tab, set Method: to "Link-Local Only". This was the only setting that let me do ssh pi@rasberrypi.local. Once I was on the Pi Zero console, I could access the internet. This was on a Pi Zero (non-W) so it was getting internet of the PC over the USB. As others have stated, I also could not get this working with Raspbian Stretch Lite on a Pi Zero W. Would love to get some help. I had this working with the pi zero W and stem. But now im getting the same 'Connection refused' after updating.